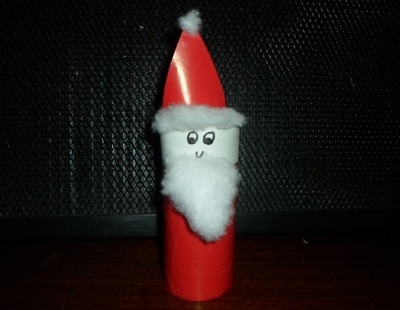 This simple Santa can sit on your Christmas table or you can add some string and it can take pride of place on your Christmas tree. Cut out a piece of red paper around 10 centimetes by 14 centimetres. 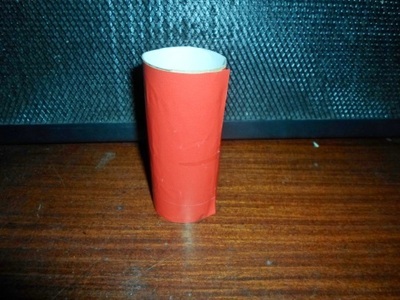 Wrap the paper around the toilet roll. 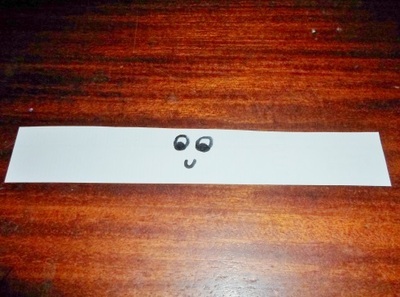 Cut a strip of white paper and draw Santa's face on it. Paste the strip around the top of the roll. 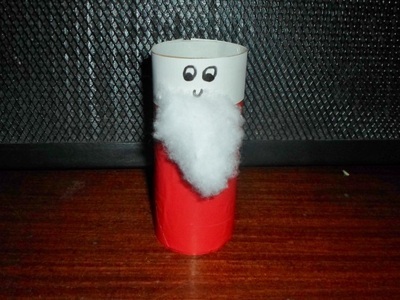 Add cotton wool beneath the face for the beard. 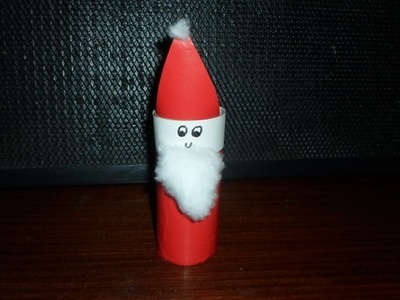 Cut a triangular piece of red paper for Santa's hat and add a bit of cotton wool at the end. Stick the hat to the inside of the toilet roll. Add some more cotton wool at the base of the hat. Stop here if you want the Santa to sit on your table. 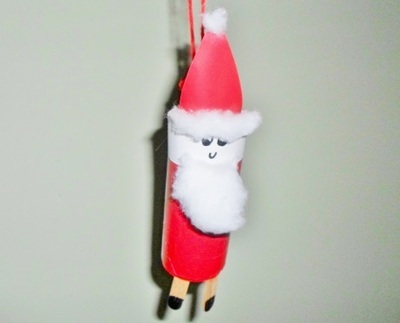 If you want it to hang on your tree, complete the following steps. 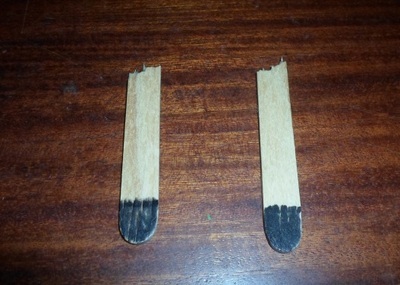 Cut the paddlepop stick in half and colour the ends black. 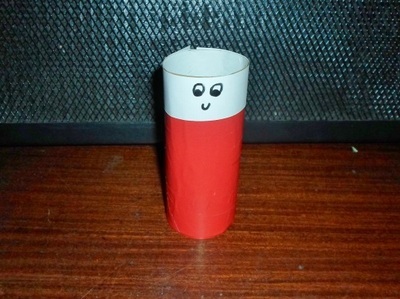 Stick these to the inside of the bottom of the toilet roll at the front. Attach some string at the back.